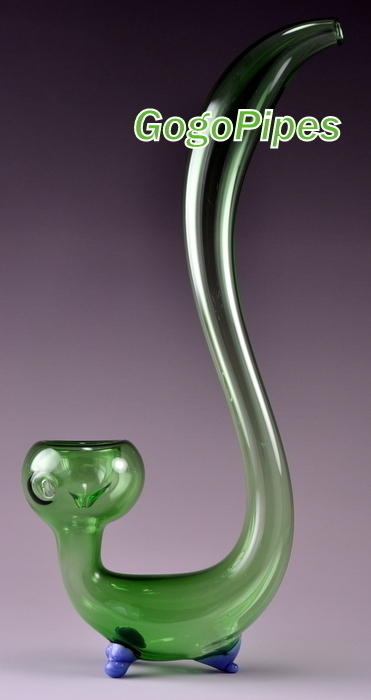 Sherlock glass pipes has green color and about 11 inches tall. Pros: Big and smooth hitting. Fantastic look. Call it the skunk lizard. Pros: The size of this pipe allows the smoke to cool a bit before hitting your lungs. The bowl itself is huge. Haven't packed it full yet to see how it holds up. Cons: Carb hole too small.